The Leader's Handbook for this popular and faithful introduction to the Christian faith. 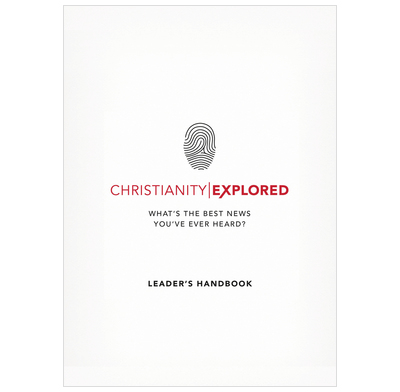 Christianity Explored gives people time and space to discover the best news they've ever heard. Over seven interactive sessions, as they explore Mark's Gospel, people find out who Jesus is, what he achieved, and what it means for us today. The course is very flexible. You can use it one-to-one, or in larger groups, in churches, or in homes. This Leader's Handbook contains everything you need to lead a course and works alongside the Handbook and DVD. It features training material and advice and includes questions from the Handbook, complete with answers! • Can we rely on Mark's Gospel?